Lovely! Just the colours I like! Great colours - she looks pretty happy with the result. Love the colours, and it looks awesome on your super cute model! oh my gosh this is ADORABLE! I love ponchos.. this one is super cute! Looks great! Love the colours. OH, this is just gorgeous, I love it! I thought it was for yourself at first too. Are you going to make a grown up version too? Oh I totally LOVE it Kristy!!! CUte!! Well done! My mum bought me a poncho when she was last here, I love it!! I bow to you...oh great one! I would love one of those myself! and ps look at your follower #...wow!!! I love the poncho, it's lovely! wow!! i've been wanting to make one of these for ages! Have just ordered an old pattern book with it in. your stuff is epic. god likes it too. Super clever! I wish I could make something for my kids to wear - I'm sure you get a huge sense of pride seeing something YOU MADE prancing around! I had one of these as a kid...thanks for the memory jog. I just LOVE this poncho, it is beautiful! Is there any better colour combo than pink and grey... I think not! I would wear this in a heartbeat. That is fabulous...my mum knitted us all ponchos when we were younger...I have kept mine but my 12 year old doesn't seem to think it is cool enough/trendy enough to wear. Maybe my grandchildren will one day. Your link gave me my laugh out loud for the day too! Do it!! MAke a big one it would compliment that gorgeous all in one suit. I just know that is you modelling it in the pinterest picture! Yes it is don't deny it. Wooowww, amazing work Kristy! 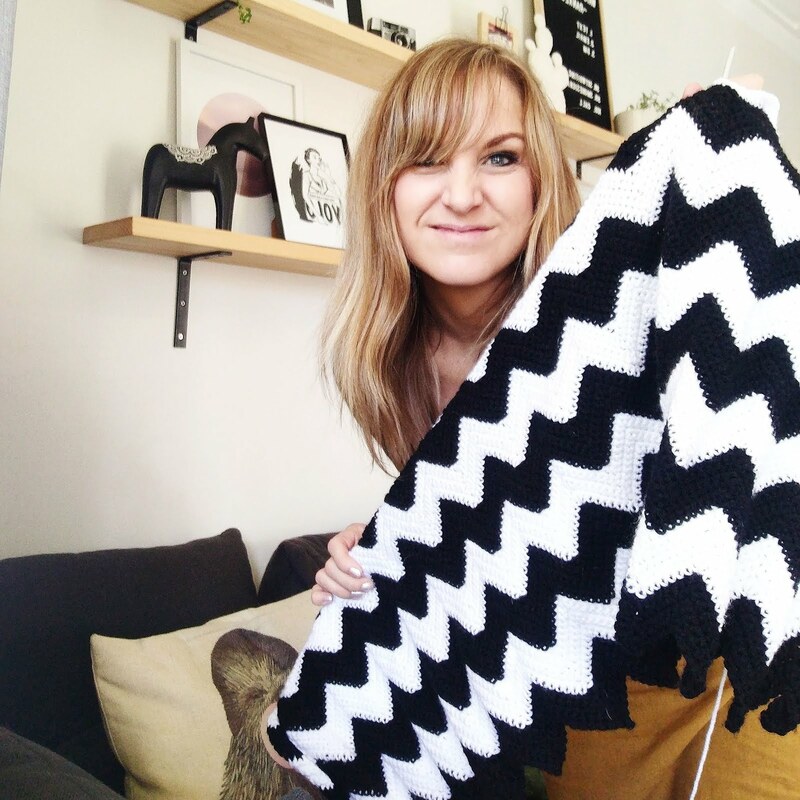 I was SO wondering how you came along with your pile of granny squares! It's a touch job crocheting/stitching them all together, good job, well done! 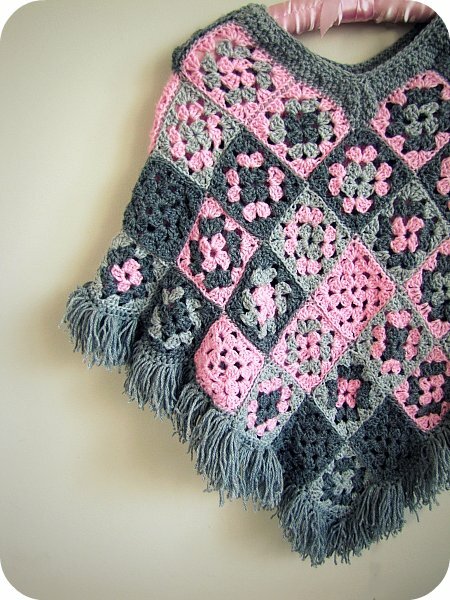 Please please please teach me to make granny squares!!! OMG! I want one! I had a poncho when I was a kid, it was a burnt orange colour in knit with a white trim... It was soooooooo trendy! 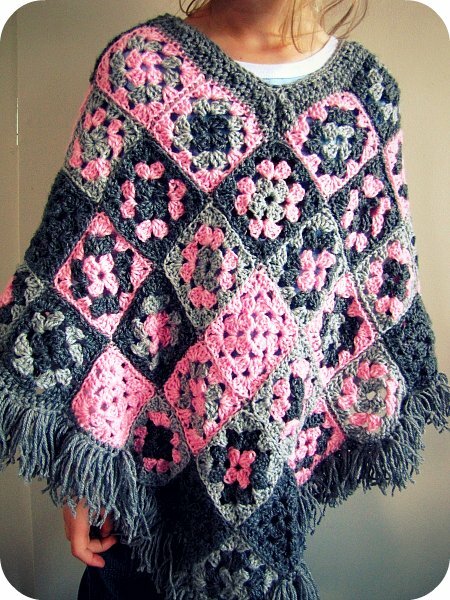 Okay, well I LOVE ponchos and especially granny square ponchos and I have been flirting with the idea of making one for years, but I don't know if it's really a done thing for a grown woman to wear a granny square poncho anymore. But now that I see so many other like-minded poncho lovers out there I am inspired! If you make an adult one, I will make one too! 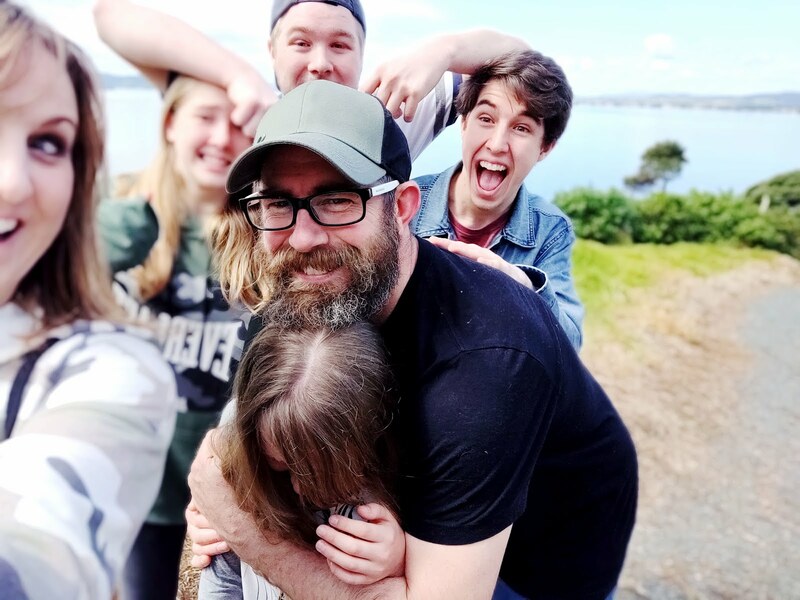 This one for your daughter is lovely, btw! I love ponchos! Aren't granny squares great? you can do so much with them! Really like the colours you've used as well! Good job! Un poncho muy bonito, este invierno quiero hacer uno. Un saludo. Thank you so much for your nice comment at my blog! LOVE your poncho and your little lady looks so beautiful in it!! wow! the color combination and pattern looks great!! Use a bathrobe or poncho! A warm bathrobe, wearable blanket (Hello Snuggie) or poncho can be used. After securing your child in the car seat with the chest clip at armpit level and harness pulled snug. I'm so doing a poncho for myself!! Those colors probably fit even if I'm 15? I love this. 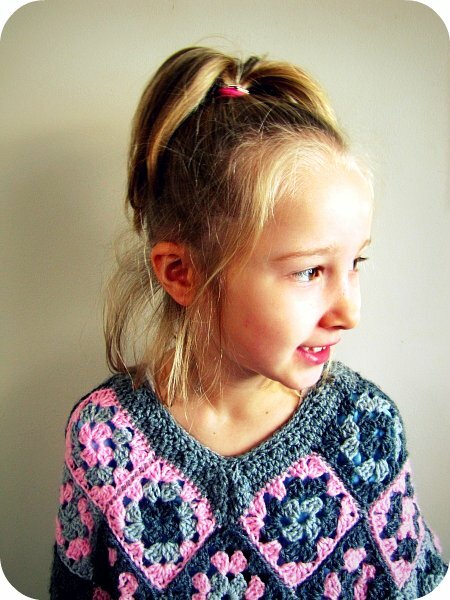 I want to make it for my 3 yr old grandaughter. 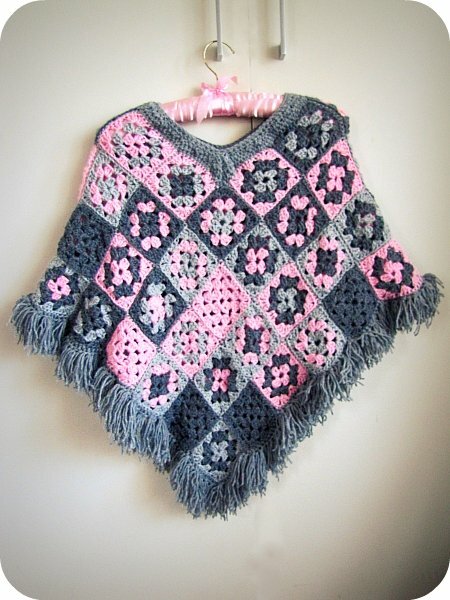 Could you make a pattern on how to make the neck part of the poncho? Please? Love,Love,Love it!! Its lovely! Your daughters are lucky. That colour combination is stunning on her! Muy lindo este ponchito. Me encanta la combinación de colores. Hermoso. Laura. Please could you tell me how big the squares are, for a child....It is lovely, but I would like to do an adult one....want to know how big to do the squares. Sorry but I did this years ago and can't tell you exactly. Just make your square until it seems right for you - the size of square shouldn't matter, more how many. It’s absolutely fabulous what kind of wool did you use please?